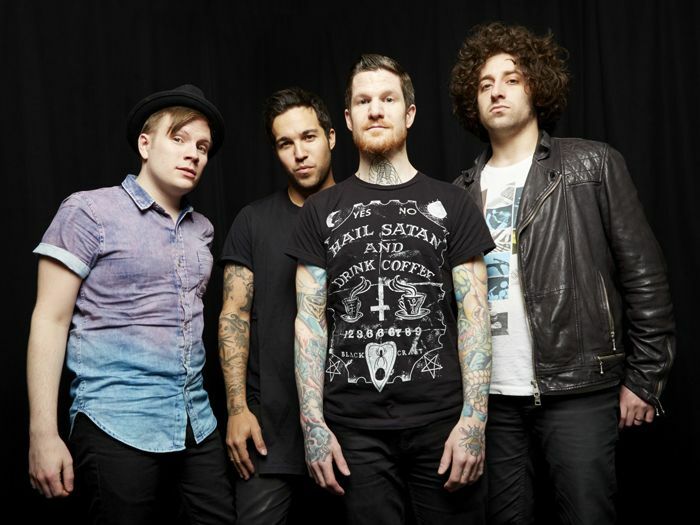 Chances are if you went through a pop-punk/emo/scene phase in both middle school and high school, you most likely listened to Fall Out Boy. You probably liked Panic! At The Disco, too. For those of us that never completely let go of our Fueled By Ramen days, the Save Rock and Roll Tour was a dream come true. 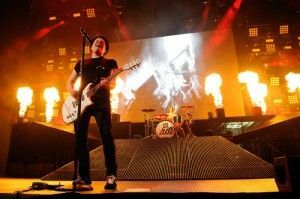 The nation-wide tour made a stop at Orange County’s Honda Center on Friday night with headliners Fall Out Boy and Panic! At The Disco. After a four-year hiatus, FOB released “Save Rock & Roll,” a robust album with a big sound and big collaborations, and shortly after they went on tour. As if fans weren’t already fulfilled enough with a new album and a new tour, the kings of pop-punk brought on their friends, Panic! At The Disco to share the top bill. Friday’s show opened up with Ohio native duo, Twenty One Pilots. The band, who were recently signed to Fueled By Ramen, played a short set that brought to the arena a fusion of sounds many first time listeners weren’t expecting. With pop/dance songs that could be compared to the likes of hellogoodbye, to synth-infused alternative rap rock with fast-talking and catchy beats, Twenty One Pilots illuminated the stage with a fresh and nearly indescribable vibe. Panic! At The Disco followed the duo, with singer Brendon Urie as the only original member of the band present on stage. Long-lasting P!ATD fans are most likely familiar with the departure of their original guitarist and lead songwriter Ryan Ross in 2009 after their second album, “Pretty. Odd.” His absence from the show was notable on stage, and though their new bassist Dallon Weeks and touring members did an impressive job, it often felt like the Brendon Urie show. Urie’s vocal talent and stage presence deserve all praise, but fans familiar with Panic’s earlier tours could easily note a change in energy without the original band members. One of the most memorable moments of the show came when Brendon Urie accompanied Fall Out Boy for “20 Dollar Nose Bleed,” a track that he is featured in on the original recording of the song. FOB also covered Drake’s new single, “Hold On, We’re Going Home,” transitioning into an acoustic part of the night. For fans sitting in the back, the acoustic part of the night was amazing as the band moved to a smaller stage towards the end of the arena floor. The set ended shortly after powerful performances of their new songs accompanied by pyrotechnics. Naturally, they came back for an encore, which included three songs from old and new albums. The night ended perfectly, as they played “Saturday” off of their debut album, leaving the audience with a performance that they will proudly take to their grave.